The Nancy Wilsons and Jimmy Pages and Eric Claptons and Jimi Hendrixes all started somewhere. They didn’t get to be the musical greats of the guitar world overnight, they instead focused on consistent practice, their passion for music, and their dedication over a prolonged period of time. You or your child could take guitar lessons with the hopes of becoming one of the next greats, or they could take guitar lessons to simply explore an instrument they enjoy. No matter what their intentions for the instrument are, our instructors can help. Our guitar teachers teach rock, blues, metal, country and classical guitar lessons on electric and acoustic guitars. Beginner students can expect to work on chords, simple songs and melodies, sight reading, and theory. We balance musicianship and fun by making sure that each guitar lesson you are challenged with a new technical skill or theory concept, but always end with something fun such as your favorite riff or song. In our guitar lessons, we use a variety of guitar method books to accomplish this and encourage students to bring CDs, smartphones, or music players to their lesson to learn their favorite tunes. In addition to offering guitar lessons for acoustic guitar, electric guitar, and bass, we also offer lessons for the ukulele and mandolin! Mandolin and ukulele are similar instruments to the guitar, but are easier to play for young students. They are smaller and the strings are easier to press down. Plus, they sound amazing and are very popular in music right now! Our teachers can even help you with guitar repair, including the set up of your guitar and/or replacing your strings! 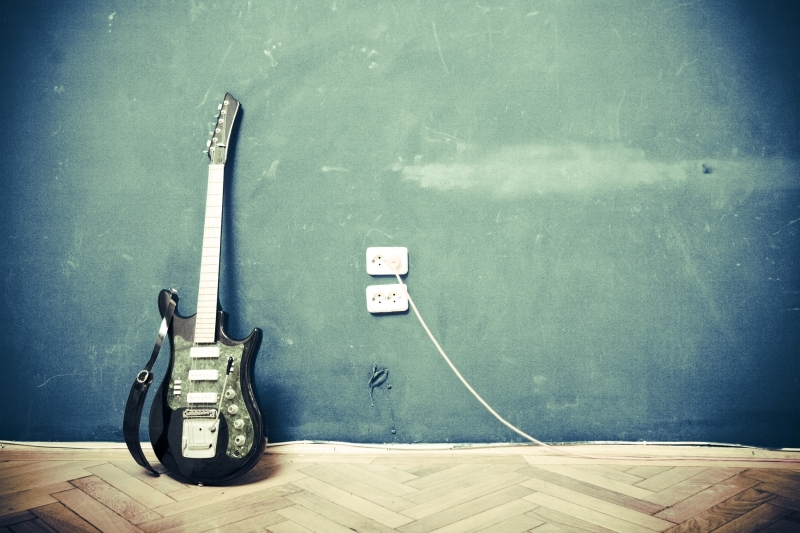 Guitar set-up and maintenance available through our instructors! 1/2 and 3/4 sizes available, depending on the student’s size. Fulfill your musician dreams—enroll in guitar lessons today!